Multiphase pump is a cost-effective option for subsea oil and gas field development. The ability to handle different inlet gas volume fractions (GVFs) especially high inlet GVF is critical to the development of pump performance. In this study, the two-phase flow characteristics in normal impeller and split vane impeller at different inlet GVFs were investigated by steady numerical simulations. The gas distribution on blade-to-blade plane and meridional flow channel at different inlet GVFs were analyzed and compared. Gas accumulation area and movement characteristics of the gas-liquid flow in impeller flow passage were also pointed out by unsteady simulations. 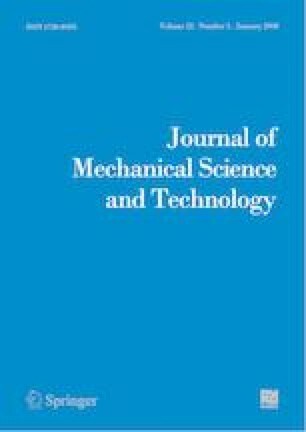 Experimental results of the pump differential pressure were compared with the numerical simulation results, to validate the accuracy of numerical simulation method. The flow characteristics in pump with modified impeller and its performance at different inlet GVFs were both compared with that of the normal impeller. The steady simulation results of normal impeller in different inlet GVFs show that gas concentrating area in the flow passage increases as inlet GVF grows. The unsteady simulation results indicate that gas pocket firstly occurs on the pressure side of impeller, then moves to the suction side in the middle area of blade and finally transfers to outlet of impeller and disappears. The errors between numerical simulation results and experiment data are below 10 %, which validated the feasibility of the numerical simulation method. Simulation results on the split vane impeller demonstrate that the gas accumulation area in flow passage of the modified impeller is dramatically decreased compared to that of the normal impeller. The performance of the modified impeller is generally better than the normal impeller especially in high inlet GVF conditions. Yi Shi is currently a Ph.D. candidate in China University of Petroleum Beijing. His research interests include the hydraulic design and multiphase flow study in multiphase pumps.